There have been 10 images uploaded to this topic. (View topic image gallery). 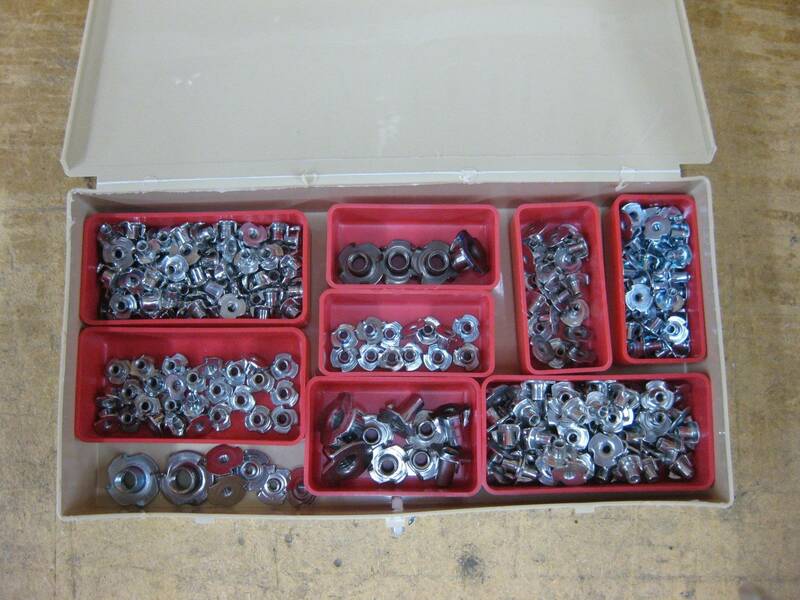 If you're looking for ways to organize your parts, this is for YOU! 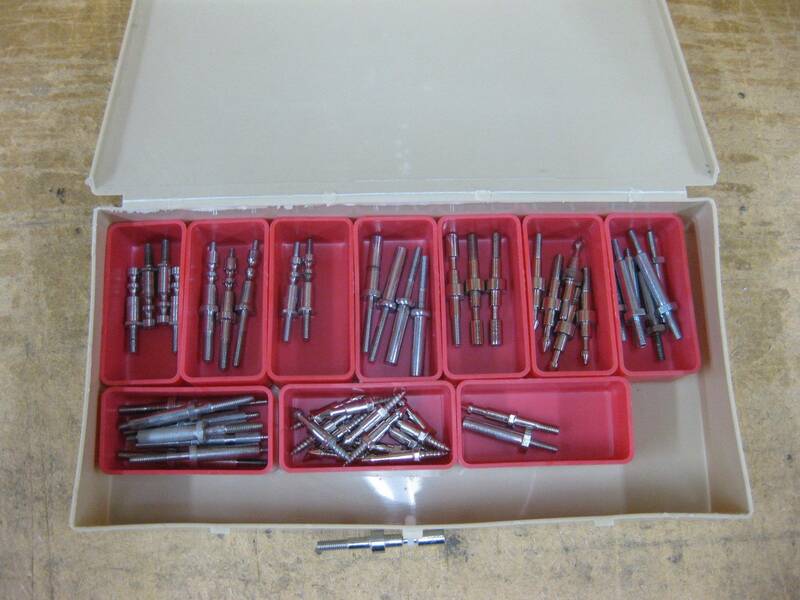 These trays are made by Schaller and are very sturdy. I'm knocking 20% to 25% off the list price of these. Go here and see the normal prices. I've got 3 sizes for sale, small, medium and large. Small (1 1/2 x 3 x [phone number removed] Retail .45) I've got 131 of them. Medium (2 x 3 x [phone number removed] Retail .50) I've got 49 of them. 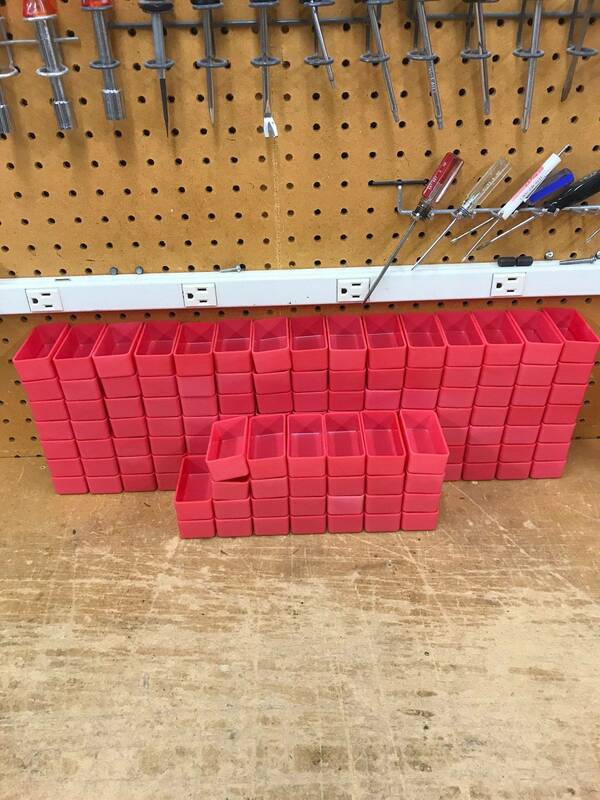 Large (2 x 4 x [phone number removed] Retail .55) I've got 26 of them. Shipping is extra and depends on how many you buy. These are Bryan_Kelly's all time market stats. Here are just two small examples of how I've used them. Bump for those that like things organized. I'm also open to offers. I so badly want to say "I've had a ton of interest in these but no one has pulled the trigger yet", but sadly, I can not. I've had no interest AT ALL! I'm open to any offers. That's right, ANY offers. How much for the whole lot with shipping to Memphis? What has had me be reluctant from sending a messaging a couple times is that I have no idea how many you have of either size, so it makes it hard to make an offer. A bunch for some is 50 while for others it may be 500. Are they BPA free? Can I put them in the microwave? I'd love to be more organized... the problem is that It's not in my genes. 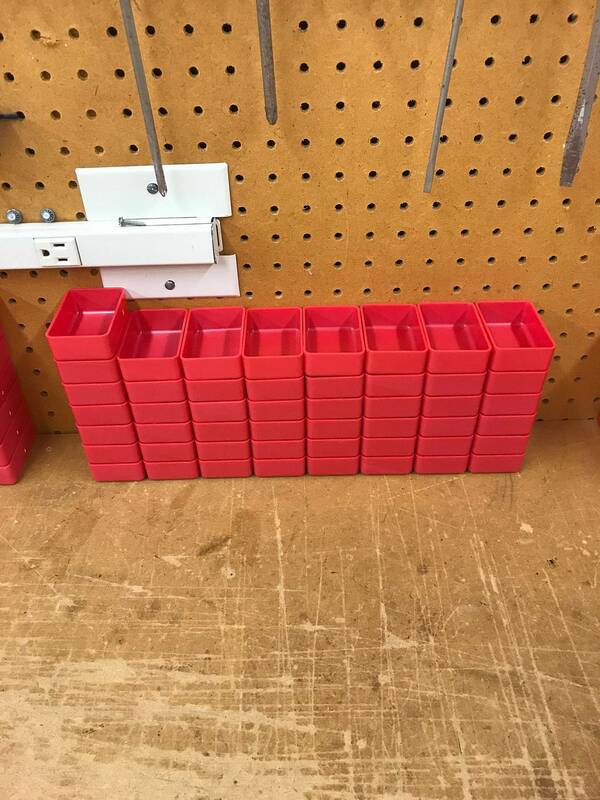 I've bought organization; but I can't ever seem to make it work right. My problem is I like to make messes... then push those messes out of the wait to make room for the current project. Anyone have any advice to fix that? SONOFABITCH! I've got a lot of these POS. I've updated my original post with list prices, my selling price and the numbers. 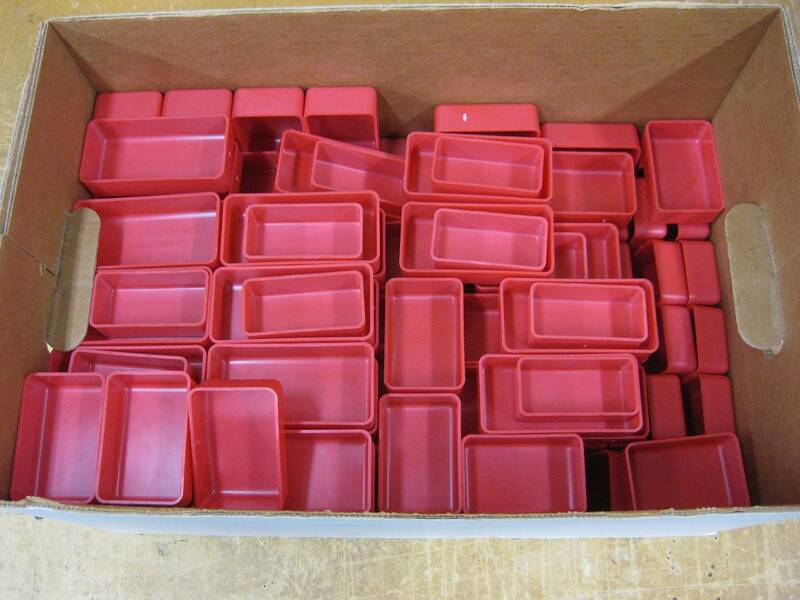 I will say, these are not some flimsy bendable trays. They're very sturdally (is that a word) made. I've got 131 small, 49 medium and 26 large. I don't care what you do with them. Maybe your wife does beading. Maybe you do beading. Hey, I don't judge. I should also mention, you can buy as many as you want. Buy one or buy them all. If they don't sell, I may take up beading. Lids? Gots to have lids! There are no f'ing lids. 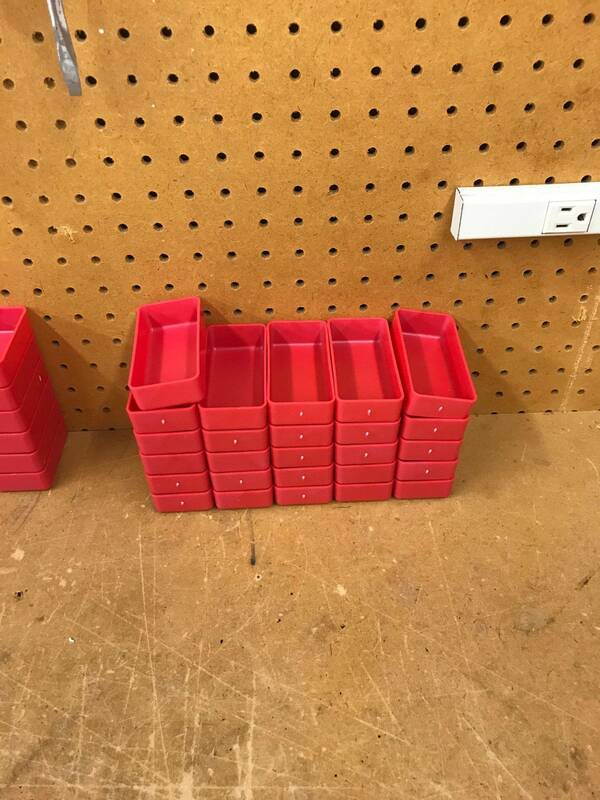 Only red f'ing trays. If you put lids on them how do you know what is inside! Dozens of little red boxes with lids would be a PITA! 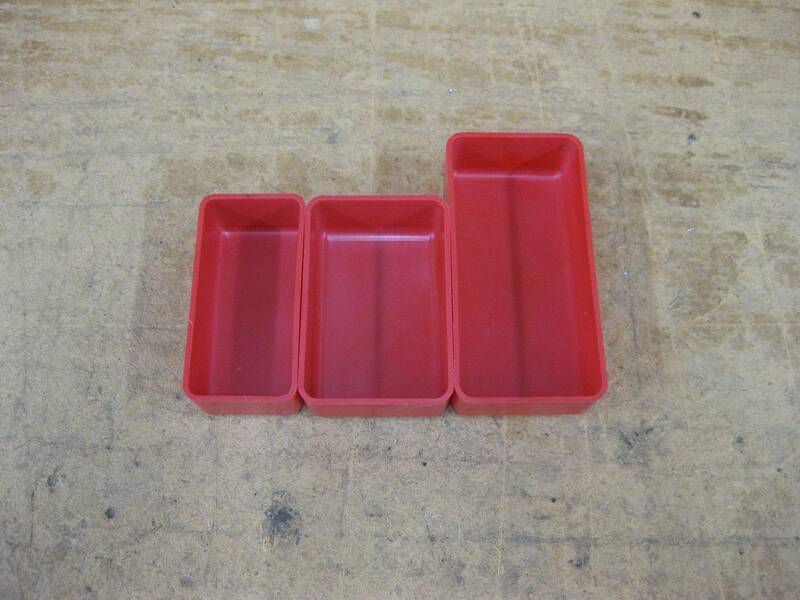 The POS red trays are sold. Woohoo! They're mine....They're all mine! Great Oogalie Moogalie! Ha! Good, they would get in the way! How would I see whats in them?? ?